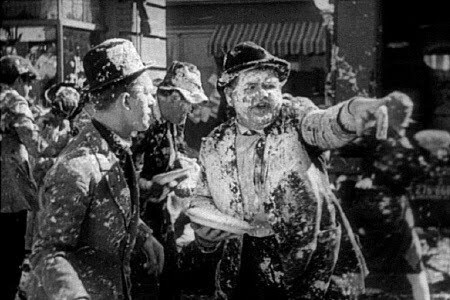 Following the rediscovery in June of the missing reel of Laurel and Hardy’s classic comedy short, featuring the pie-fight to end all pie-fights, I can bring you even more good news. A near-complete restoration of The Battle of the Century (1927), by Lobster Films, will screen at the 34th Giornate del Cinema Muto in Pordenone, Italy this October. The festival will open with a gala screening of the newly restored Italian film Maciste Alpino (1916), a first world war epic written by Giovanni Pastrone, and the closing gala will be The Phantom of the Opera (1925), starring the amazing Lon Chaney, with Carl Davis’s score performed live by Orchestra San Marco di Pordenone. The midweek feast will be Henri Fescourt’s epic 1925 adaptation of Les Misérables, in four sittings – it’s six and a half hours long, after all. I am already preparing for that one. Other anticipated highlights include a celebration of black performers on screen, including 100 Years in Post-Production, a reconstruction of the rushes of Lime Kiln Club Field Day (1913), a never-completed comedy starring African American stage star Bert Williams among its all-black cast. I am very keen to see the new restoration of Daisuke Ito’s Diary of Shuji’s Travels (1927) accompanied by a benshi as well as live music, and the recently discovered western To the Last Man (1923). That last title leads one of the programme’s most exciting strands: a retrospective of the silent films of Victor Fleming. 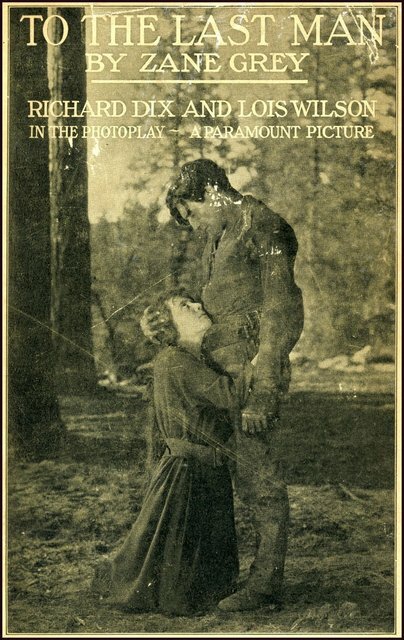 It also ties in neatly with a very promising strand devoted to the beginnings of the western in the silent era. In the Canon Revisited strand, there will be chances to see a colour restoration of Marcel Herbier’s design-led L’Inhumaine (1924), and Ernst Lubitsch’s irrepressible Die Puppe (1919). Two modern silents, at least, will feature: a short Iranian animation inspired by Tim Burton, Junk Girl, and a feature-length experimental film, Picture, conceived by Paolo Cherchi Usai. Judging by his past form, you may want to grab the chance to see that one when you can. Not a modern silent, but a modern silent cinema mockumentary, Love Among the Ruins is “a faux documentary about the miraculous discovery and restoration of a long-lost Italian silent film”, featuring music by none other than Donald Sosin. It will be interesting to see how this one goes down at Pordenone. From other sources, but not, so far, the festival itself, I hear that we will seen the freshly restored 1916 Sherlock Holmes starring the role-defining William Gillette also. Very exciting. Early cinema is represented by more German Tonbilder films, selections from the Spanish archive the Sagarminaga collection, and a retrospective of Leopoldo Fregoli. We’re promised lots besides, including “alternative city symphonies”, more Russian Laughter (this strand was brilliant last year) Mexican films including El Automovil Gris and El Tren Fantasma. I’m very excited by the prospect of The Fairy Tale Woods – a Shadow Play – this beautifully tinted live-action silhouette film. Could be quite a queue for Battle of the Century; if as expected it is part of an after-dinner show I might have to skip a proper meal and have slice of pizza while queuing. All part of the Pordenone experience. With any luck they will be handing out delicious custard tarts to the people in the queue!